A ton of traffic from different channels.…. But none of these will matter if the words on your website are boring. People will click exit and leave your website. So how can you capture people’s attention and make sure they stay and read your content? Copywriting is an art of writing persuasive words to get people to take action, whether it’s buying your product, signing up for your email newsletter, or share your post. With everything else being equal, what separates an interesting product from a boring product is the words you use to describe the product. In this article, we will give you 195 power words for copywriting on your website. Incorporate these words into your headline, description, and content to invoke curiosity and trigger emotion. These power words will come in handy when you are creating a sales page, product page, or craft ads for social media or google ads. Power words will give you a greater conversion on your website and a slight tweak in words could result in additional sales for your business. 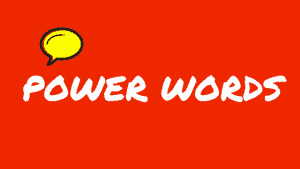 Feel free to bookmark this page and re-visit the power words whenever you need help in finalizing your ads or website.